Looks like a conventional saloon but is actually a hatchback. Huge boot space. 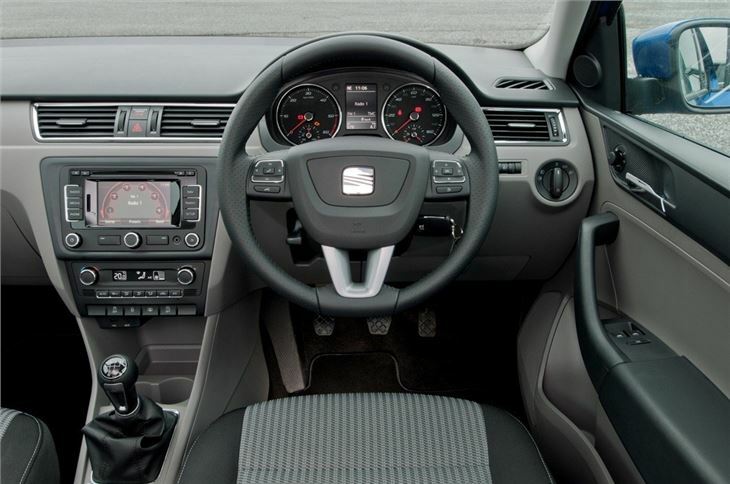 Good quality and impressively spacious interior. Great value for money and an ideal family car. Not the most dynamic looking design. 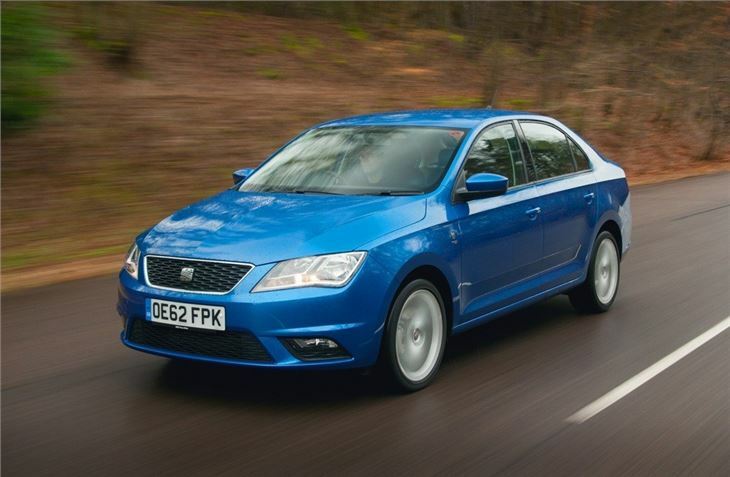 It's no secret that the Toledo is the sister car to the Skoda Rapid, but the two look considerably different with the SEAT getting its own front and rear styling. This is the new SEAT family look which we've seen on the revised Ibiza. 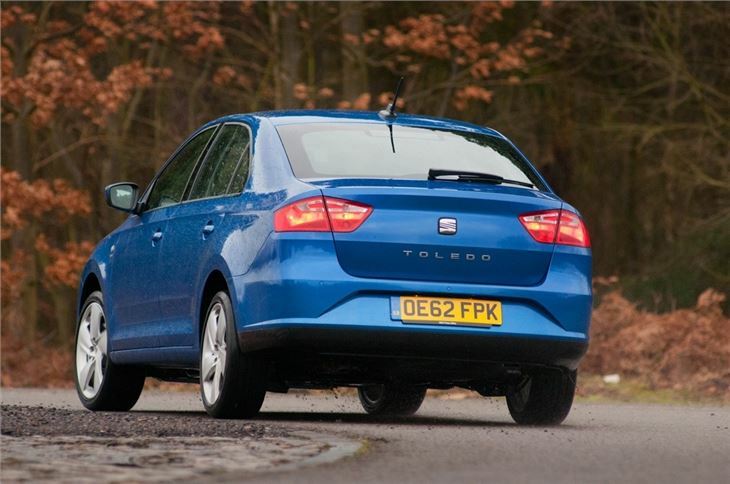 The Toledo is a neat looking car and while it's not the most exciting of designs, that probably says more about SEAT's recent design history. 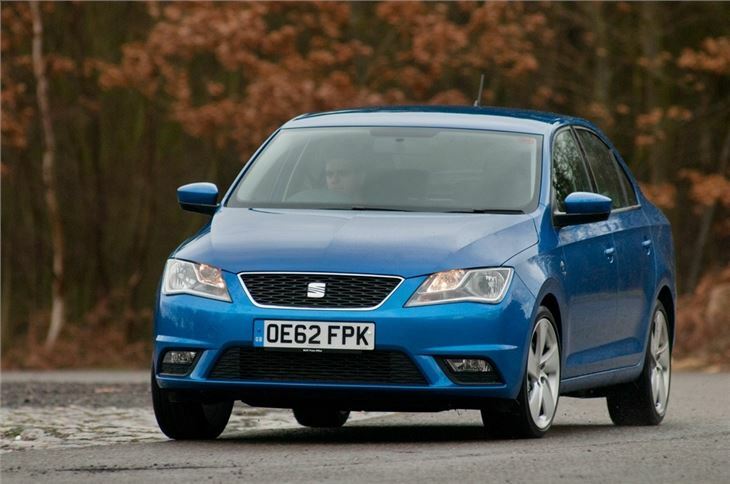 We've become used to distinctively different cars like the current Leon and Altea. 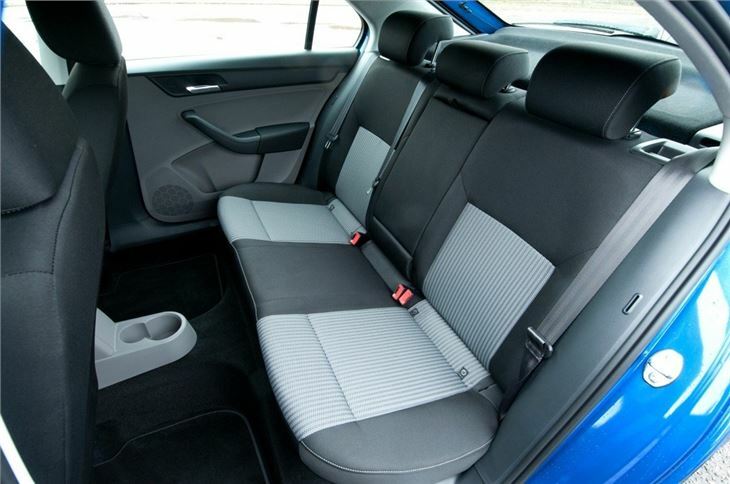 Sitting between the Ibiza and the Leon in the SEAT range, the Toledo is based on the same platform as the Ibiza, albeit a stretched one, but is a much bigger car. In fact the photographs are quite deceptive because at a smidge under 4.5 metres it's almost as big as a Skoda Octavia and actually longer than a Ford C-MAX. Sounds good so far. So you'd think the one big fly in the tapas would be the fact it's a small saloon. Never a popular choice in the UK. 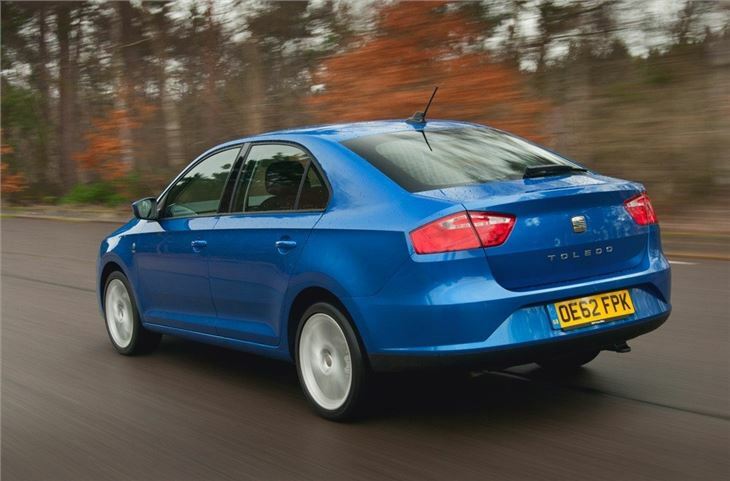 It may not look like a conventional hatchback but the Toledo offers everything you'd get from a family five-door plus a whole lot more. Okay, so the looks are far from exciting and it's fairly ordinary to drive but it still has plenty going for it. 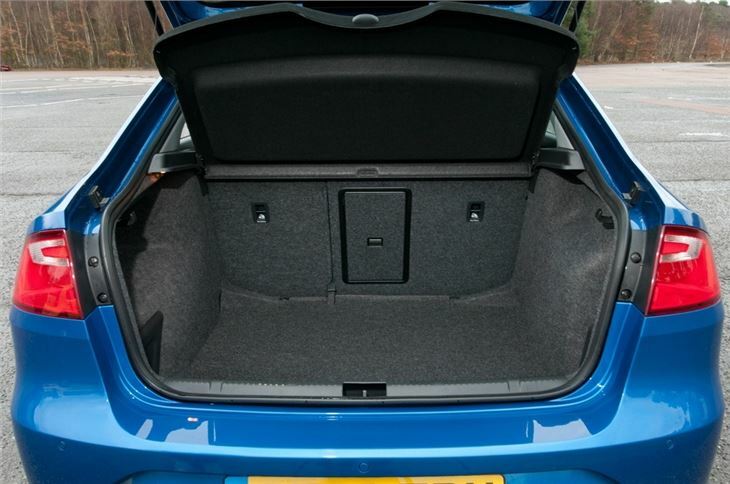 It's impressively practical and surprisingly spacious given its modest size, while the cabin is well finished even if some of the plastics are a touch on the hard side. It's also well equipped, cheap to run and refined on the motorway. A brilliant car, roomy, comfortable, economical, great build quality and cheap to buy. Brilliant value family car. 60mpg and so much room!